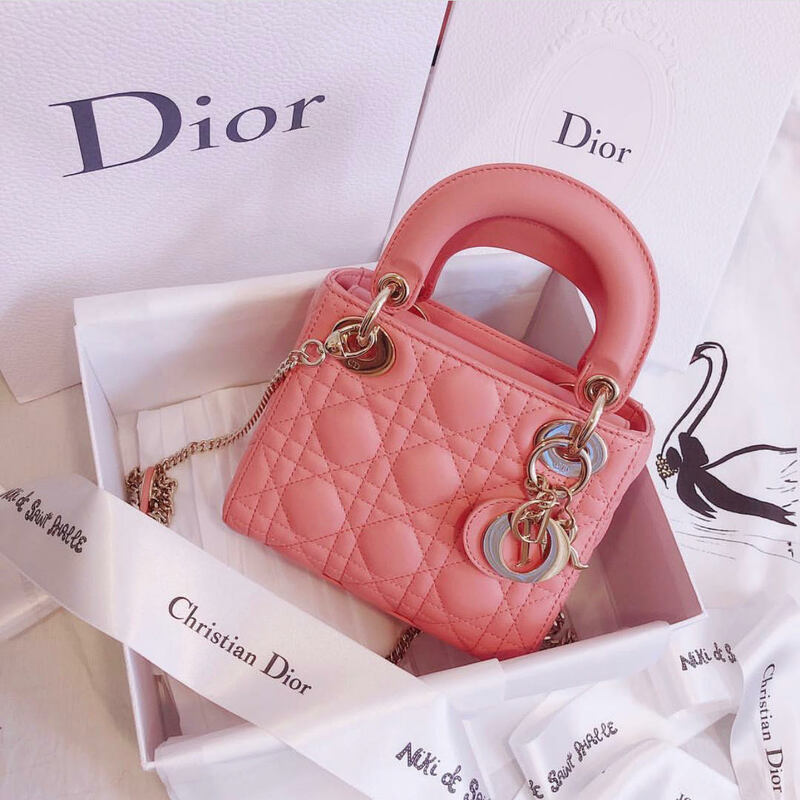 The Lady Dior handbag is the flagship of Dior. It was the favorite bag of Lady Diana. 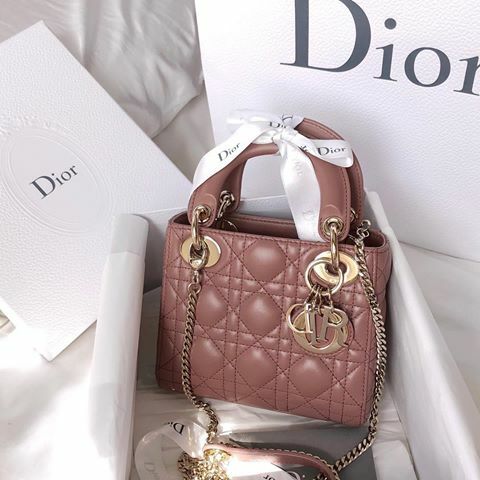 This bag is only sold in Dior boutiques which is more difficult to buy or to get one. 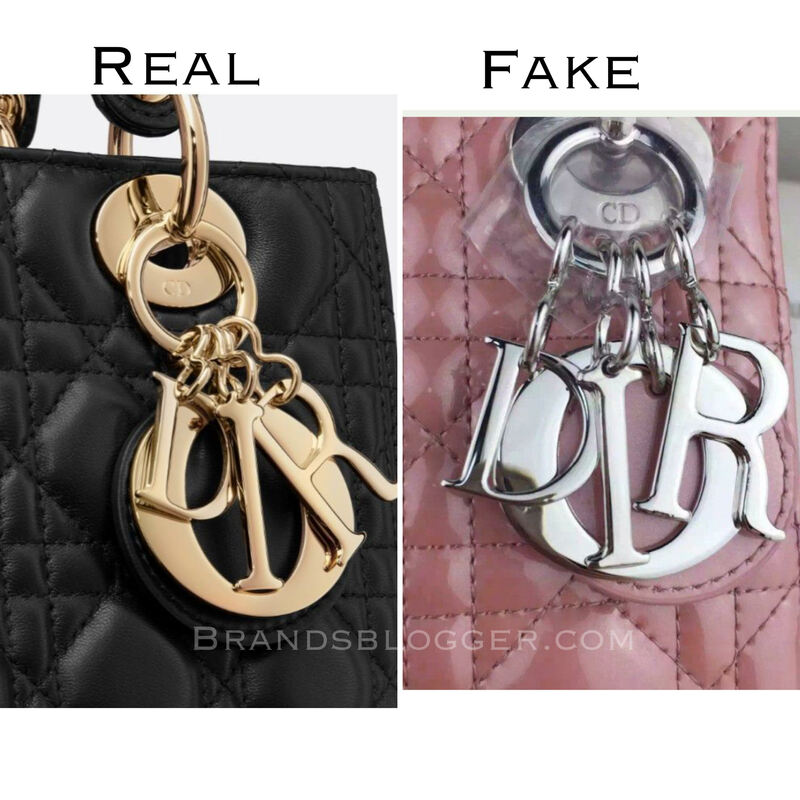 Like a lot of other brands even this product of Dior is counterfeited. 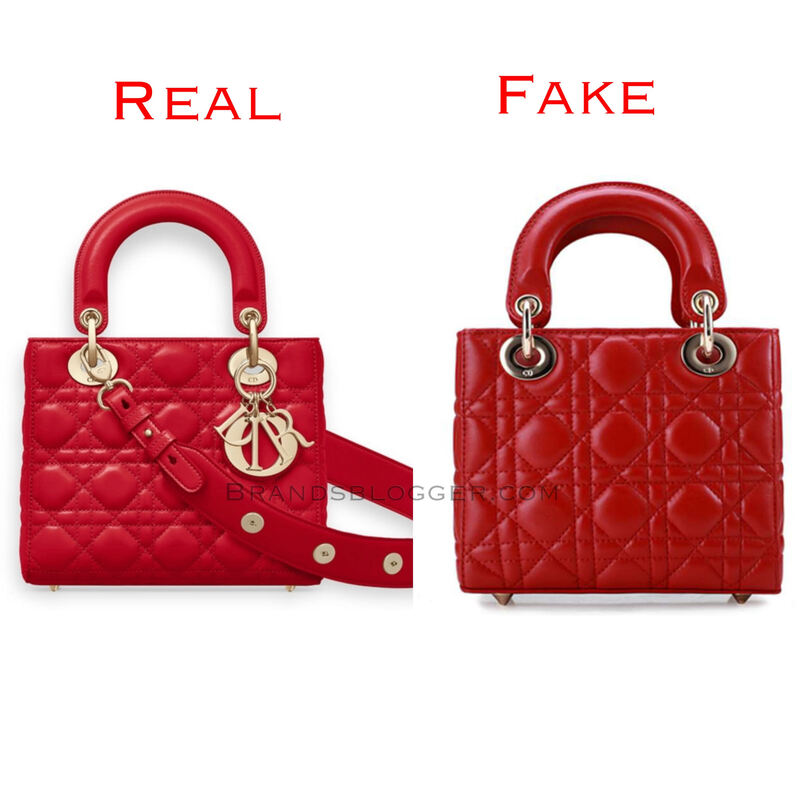 Today I will try to help you to know better an autentic Lady Dior handbag so you will not buy pricy product for real when it could be fake. Lets start with some tips. 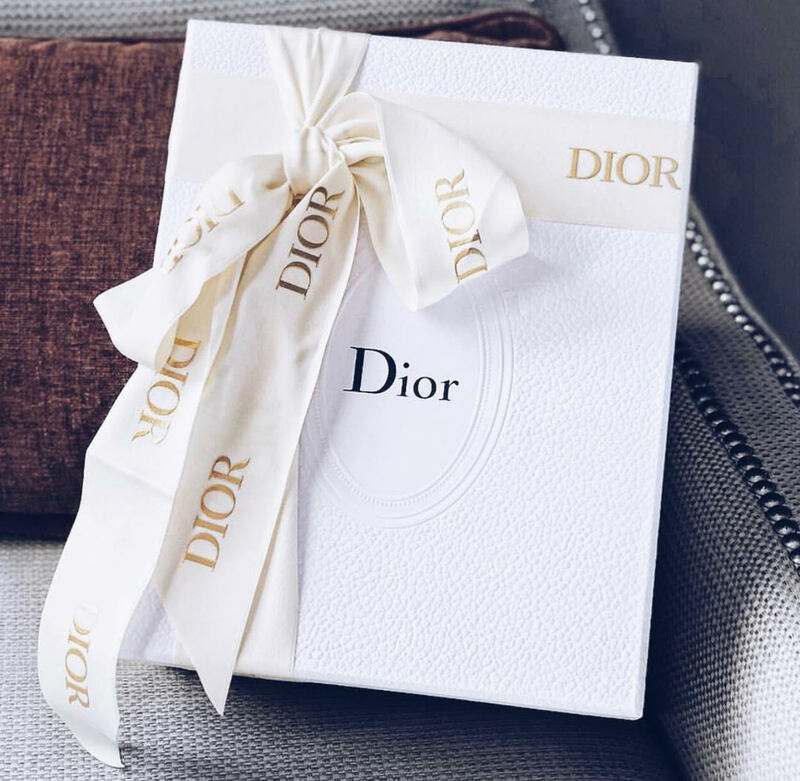 The iconic cannage quilting seen on many Dior items was inspired by the Napoleon III chairs. 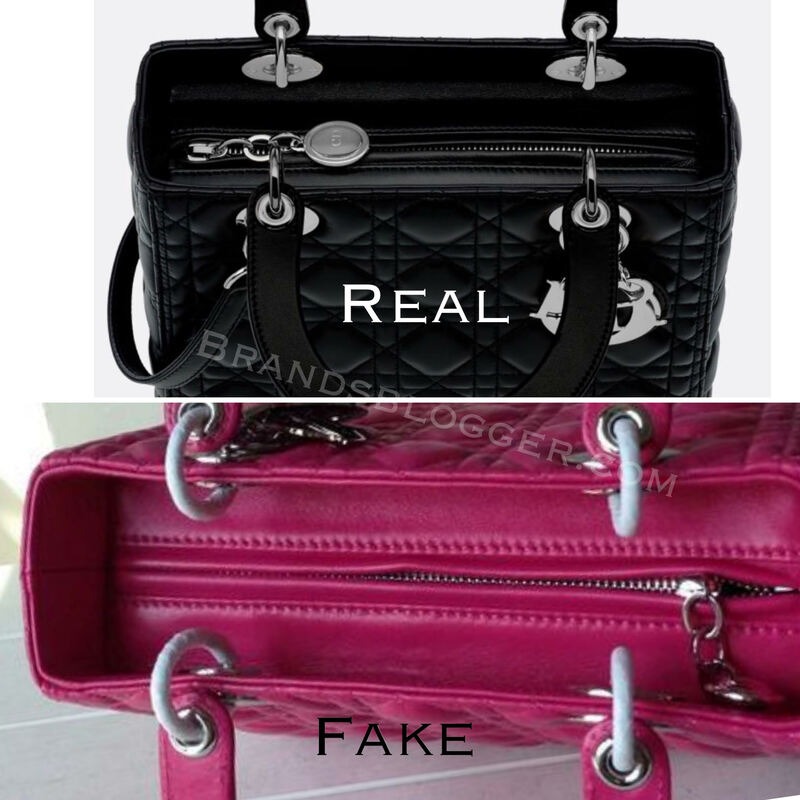 The stitching should be perfect at the authentic bag, it is tiny and you can not feel it by touching and it’s the same tone of color as the bag. 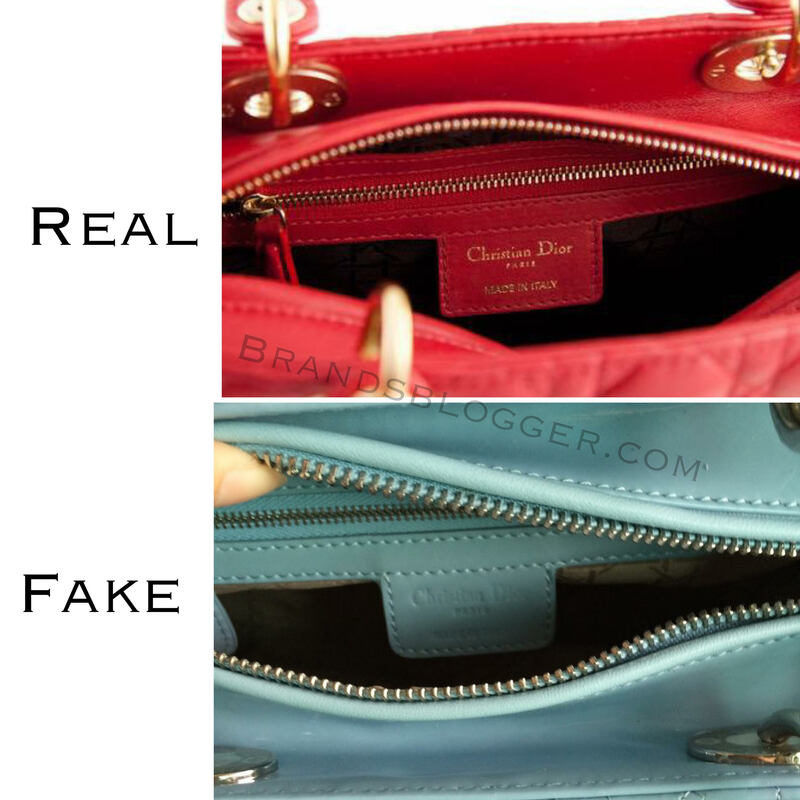 In the fake one the stitching isn’t as perfect as the authentic, is thick and the color of it is different from the color of the bag. Look at the stitches in all part of the bag, in the handles, zipper, inside and outside to have e better idea and to make sure you checked all the details. The handles are very important to look at. 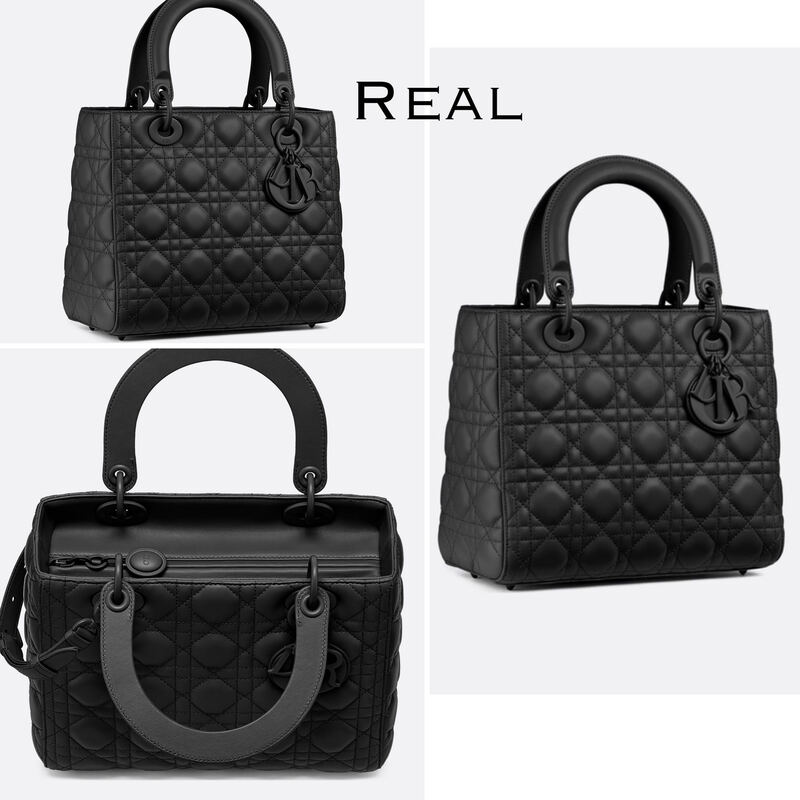 In the authentic bag they are rigid and structured. 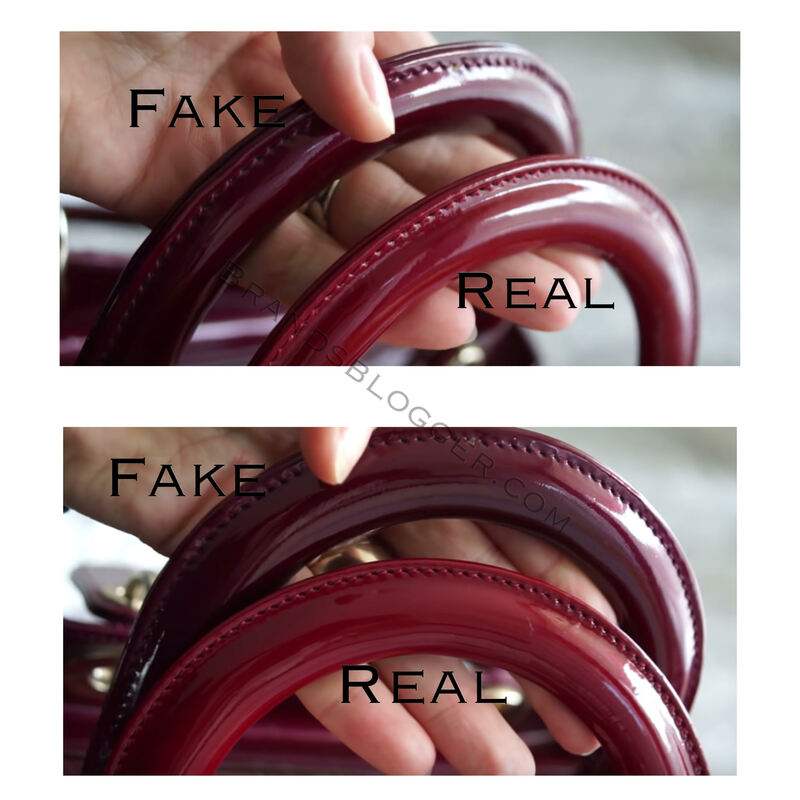 The handles of a fake bag are not stable as in the real one and are easily moveable side to side. They fall up and down and make sound while moving them, but in the authentic this doesn’t happen, the handles doesn’t fall down and they can’t move side to side like the fake. 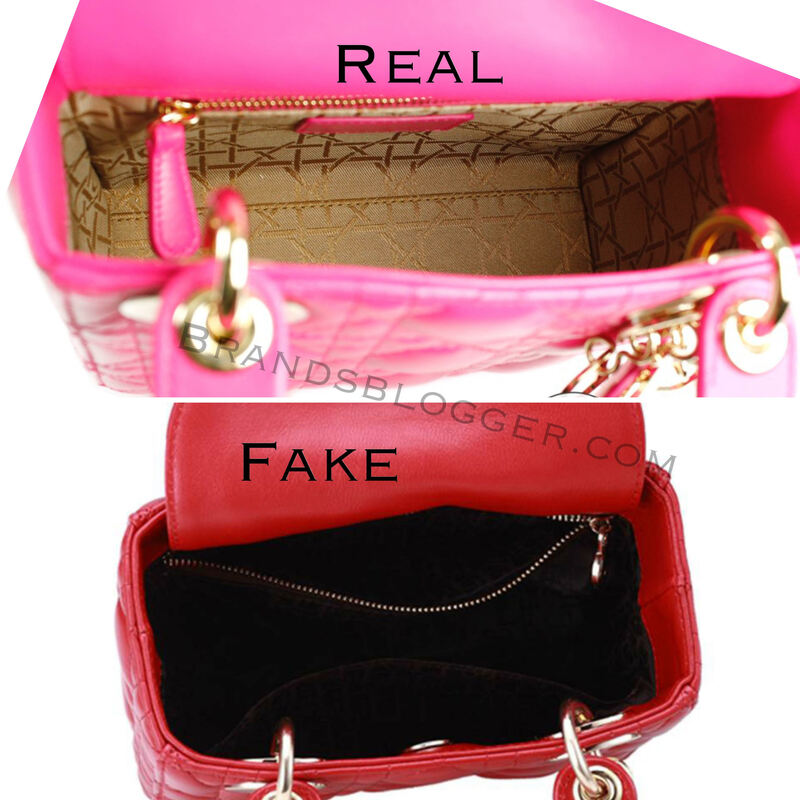 The handles of the fake bag are thicker, wider and not in a good quality or the best shape as the real one is. 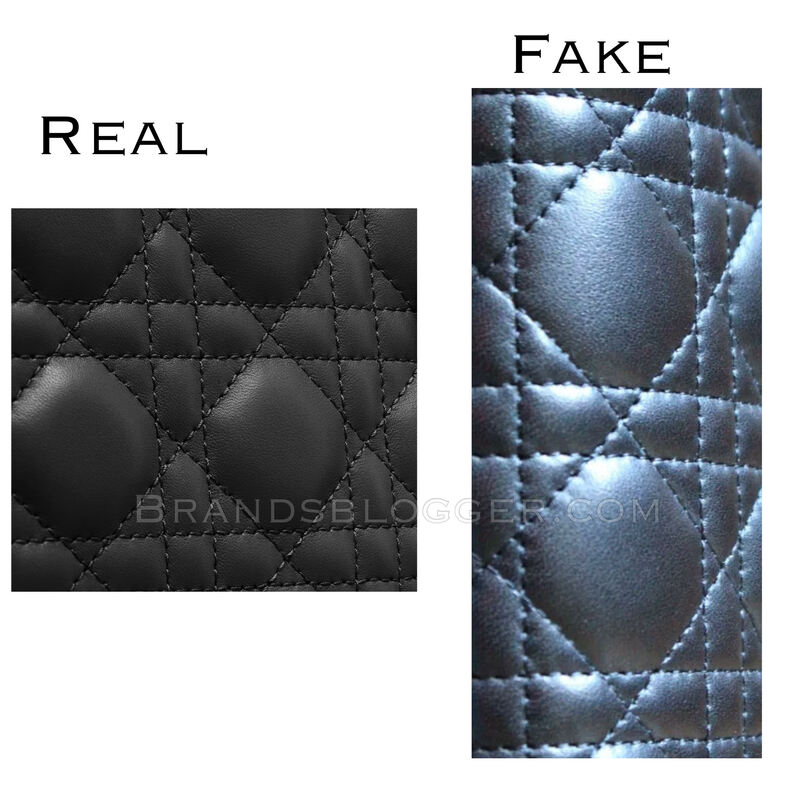 Another thing you need to see are the stitchings of the handles so you don’t miss none of the details to spot the fake. The hardware should be well-affixed and sound and it has two small engravings in the inner side. It is solid in the real bag. 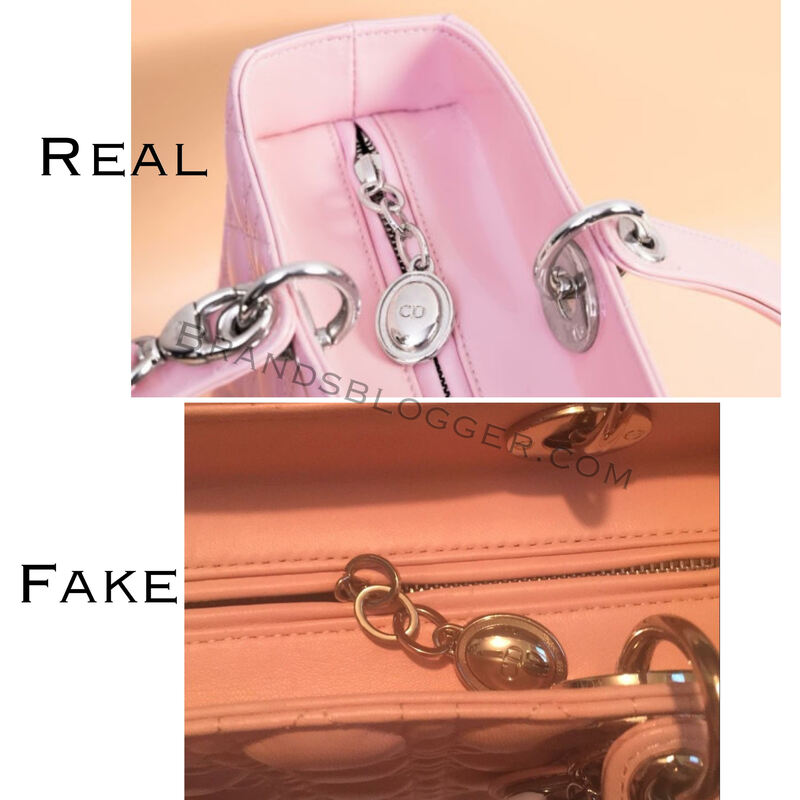 The charms, the ring which holds the “DIOR” letters is very stable, and it doesn’t move from side to side easily, it’s difficult to move it, but in the fake one it is very easy movable, it’s not stable and this difference you can feel by touching the two bags the real and fake. Another important thing is the printing on the backside of the leather of charms. 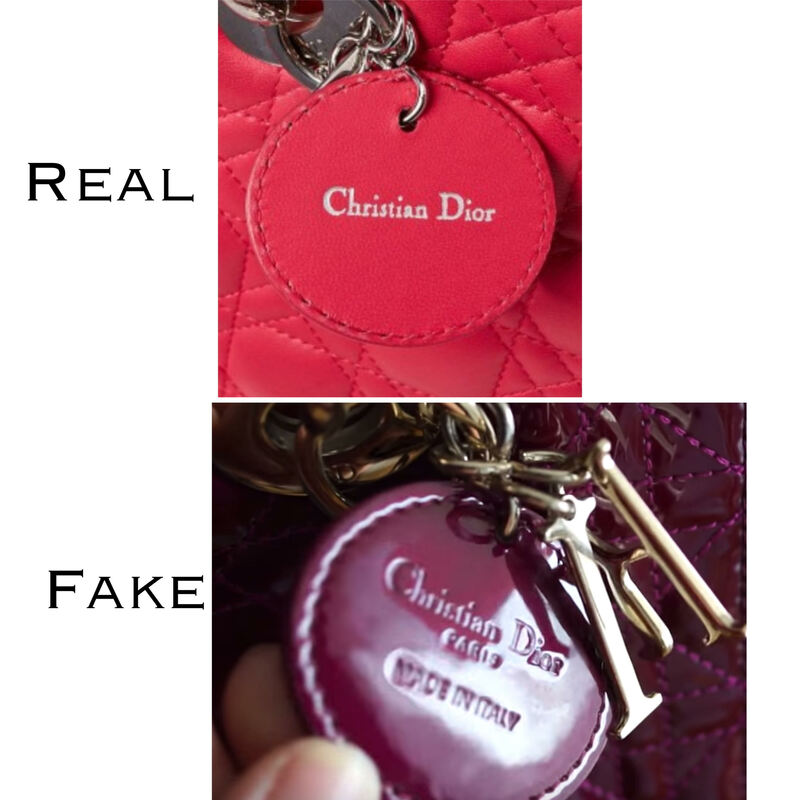 In the original Lady Dior bag is written Christian Dior, whereas in the fake one usually is written “Christian Dior” Paris made in Italy. I’ll try to help you with the pictures below. 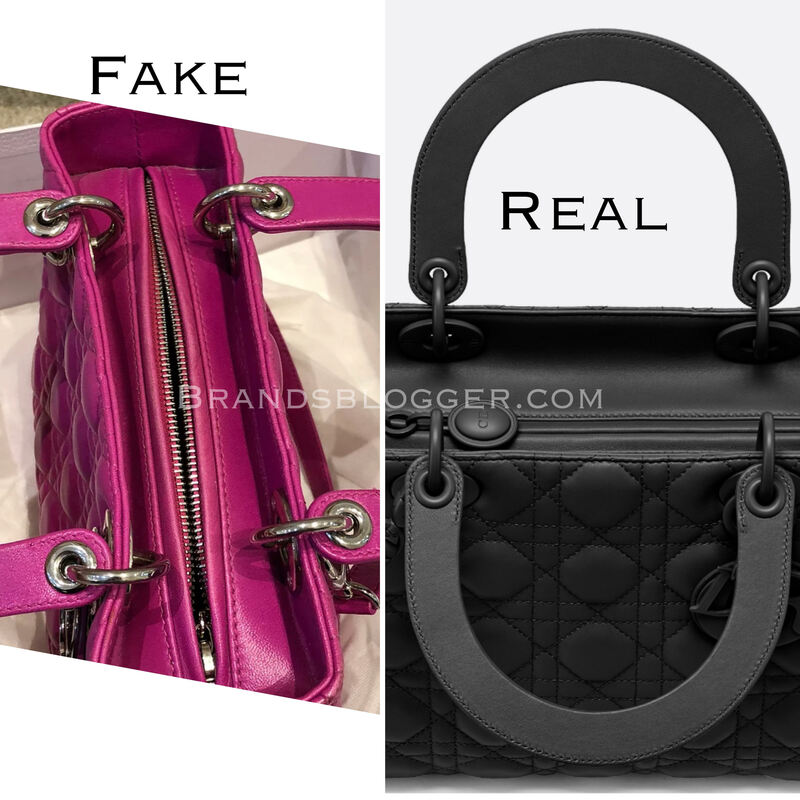 The zipper has regular stitches with the same color of the bag and it has the oval logo seen on Dior pieces. The logo is attached to the zipper with four chain-links (three big and one mini), which give it a jewelry-like quality. 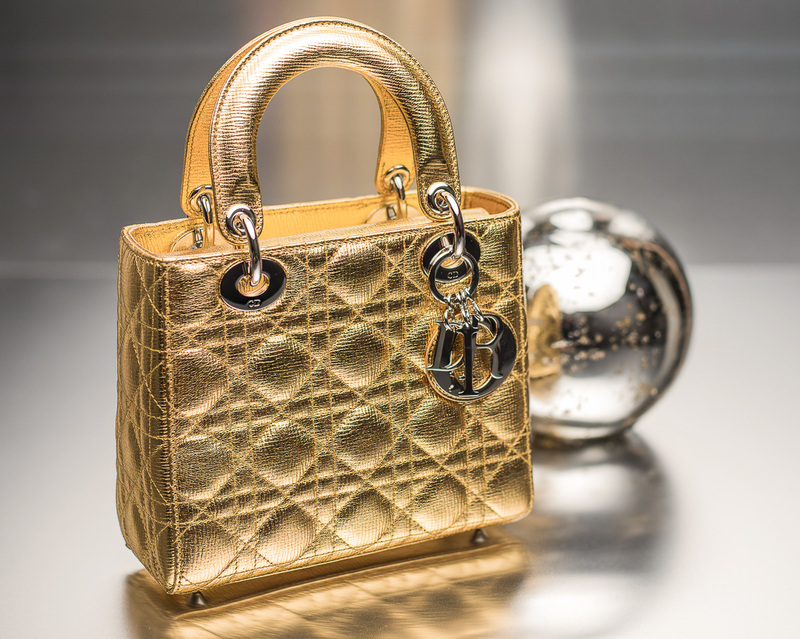 The zipper pull has to be strong for a sturdy, structured bag,” says Wetzbarger(an expert in authenticity). 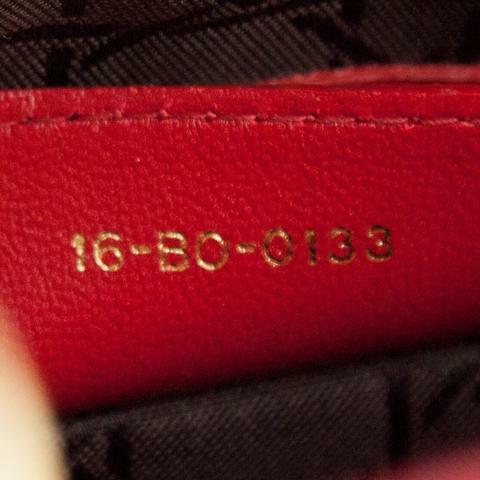 Inside the bag, when you flip up the label at the zipper, you will see a date code in the same format as those found on Louis Vuitton items, as Dior is also part of LVMH, so its made of two numbers, two letters, four numbers (00-XY-0000). The letters indicate the factory and the numbers the date , week or the month or the year when it is produced, but it depends because these things changes over years. In the fake bags the date code doesn’t match the year or other elements. 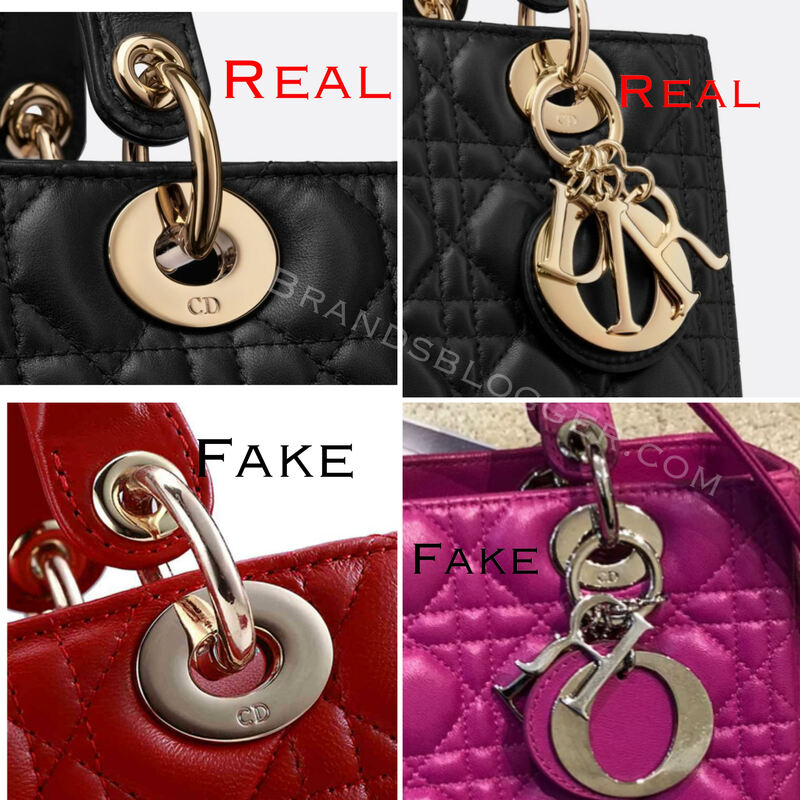 Below are pictures of authentic Lady Dior bag date code. 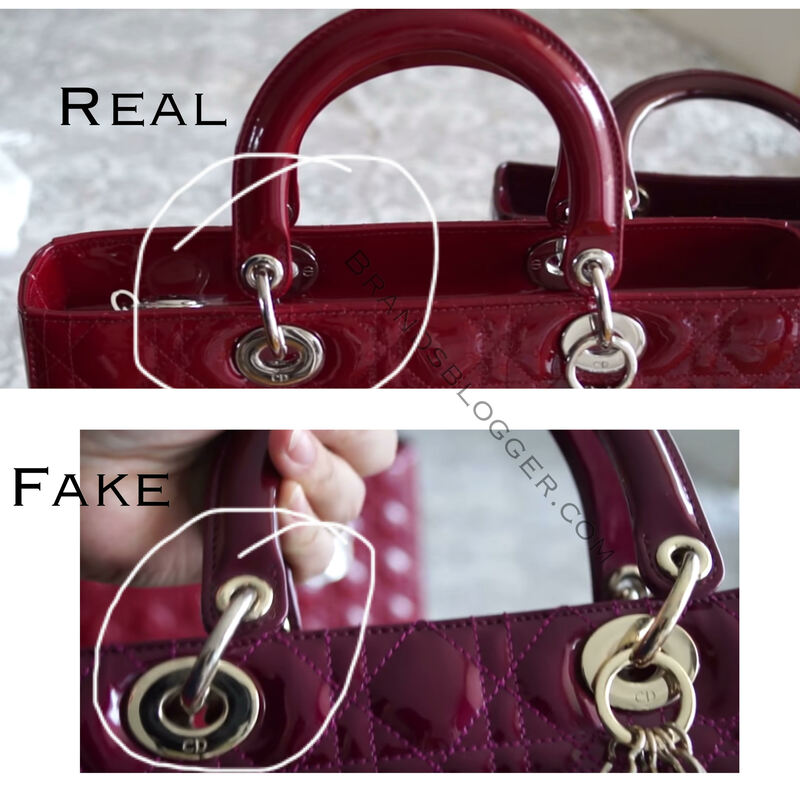 The dust bag is an element you should check before buying the Lady Dior bag. 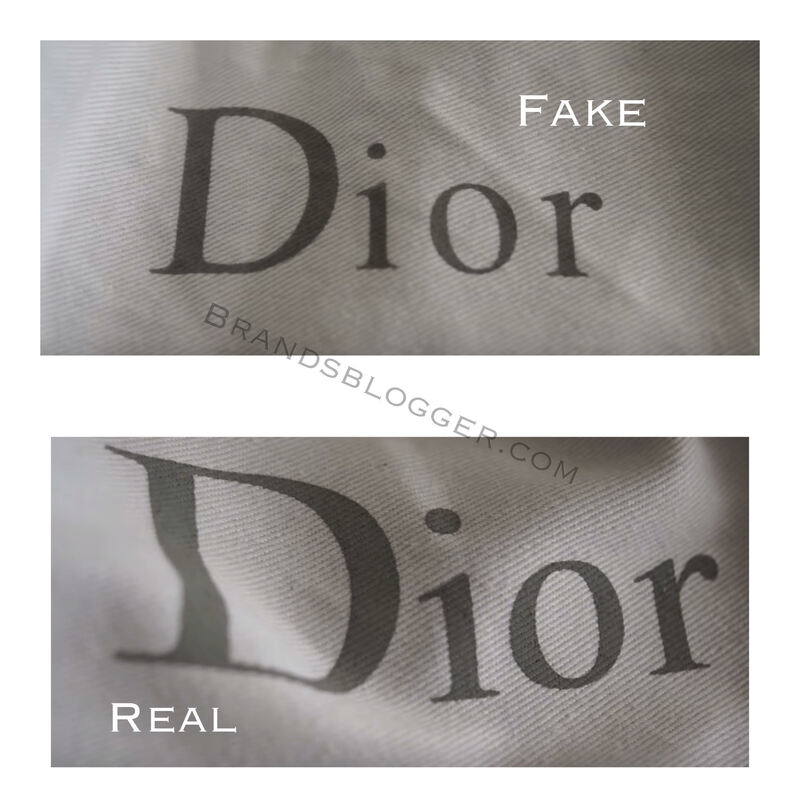 The differences are in the material, color of the dust bag, the size and font of the printed Dior logo in it. 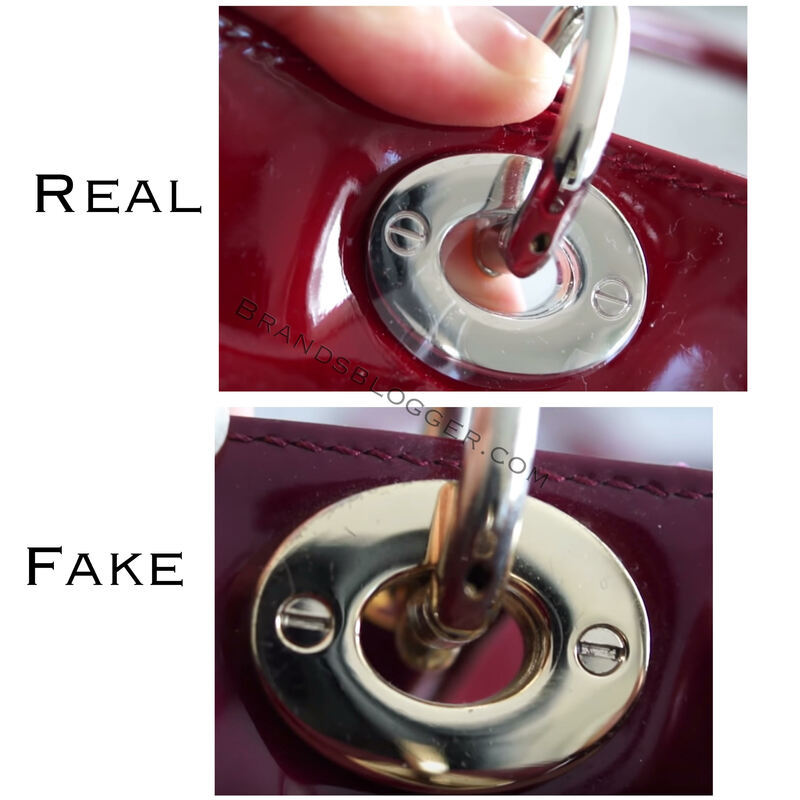 Look carefully these details and you will have the idea how the real look like so you will immediately know when you face a fake one. 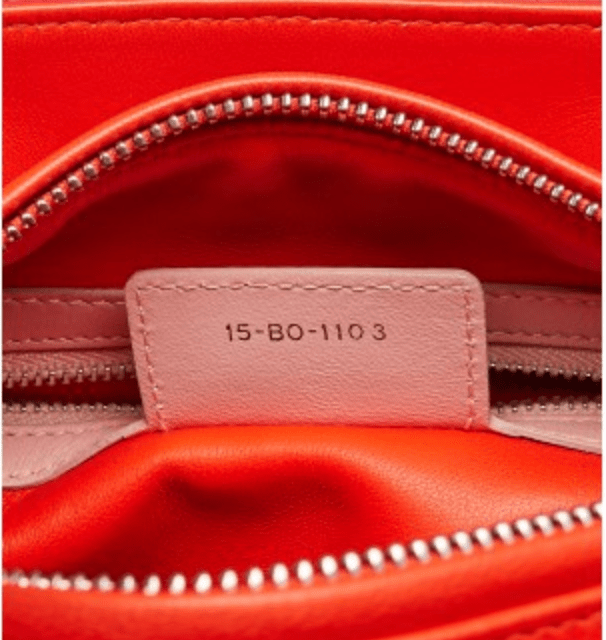 Your bag should come with a small envelope containing a grey, watermarked Authenticity Card and a Care Booklet, each of them translated into three languages (English, Chinese and French). 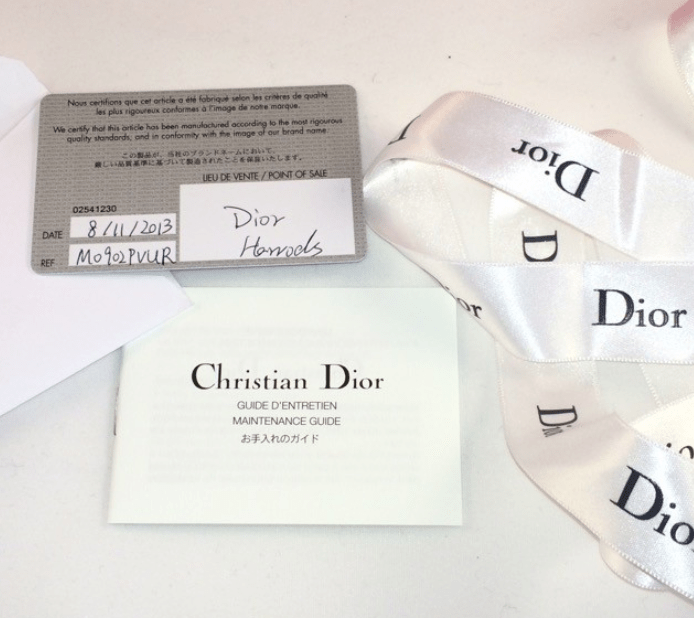 Authenticity Card should read Christian Dior either in black or gold on one side and have blank fields on the other side (so the details of the purchase could be added). Care Booklet, or Maintenance Guide, if you prefer, should, of course be readable meaning that it won’t contain examples of poor grammar and even worst spelling skills. 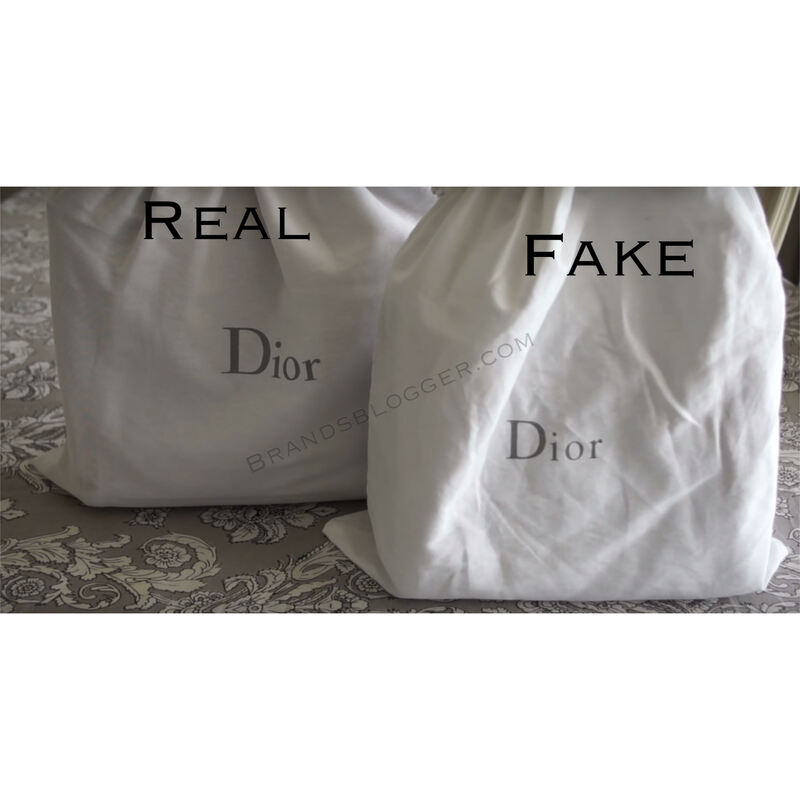 The box is clean and in a good quality as all the details of this bag, the printed logo in it is very beautiful and I think is easy notable the differences between the real and the fake box, but to help you understand better the idea I’m posting the real Lady Dior bag in the picture below. 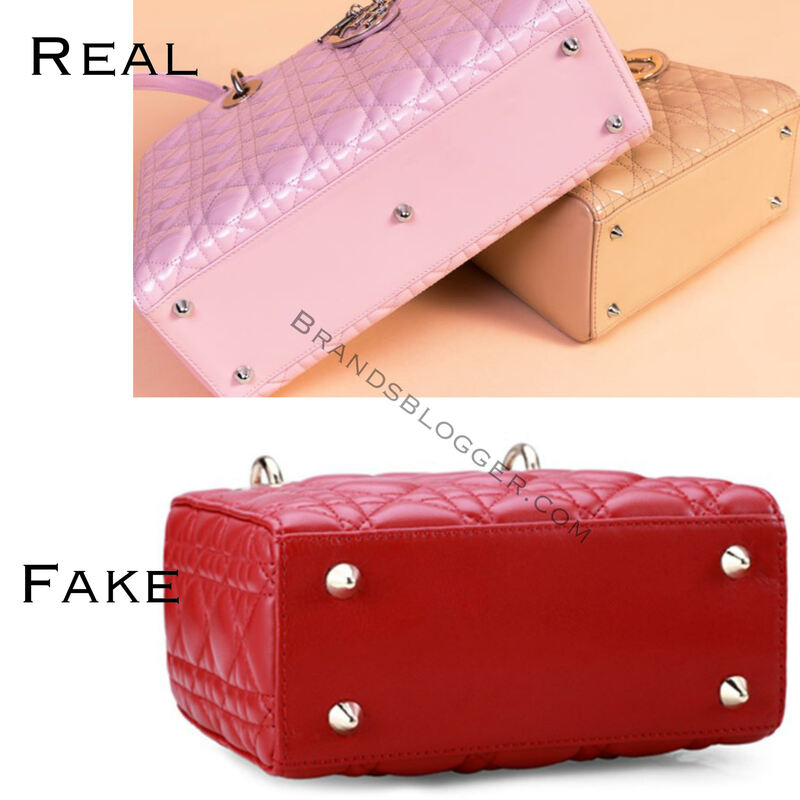 You can easily see the difference of shape between the real and the replica. For a better idea look at the photos below. Focus on the shape of the bag, shape of the details and the handles.